At Elite Smiles Chastain, we’re proud of our unique ability to offer both pediatric dentistry and orthodontics in one convenient neighborhood location in Atlanta. When you choose us to provide your family with the pediatric dental care and orthodontic treatment you need, you’ll enjoy the convenience of not having to visit several practices to achieve and maintain optimal oral and orthodontic health! Our Chastain Park pediatric dentist, Dr. Wesley Powell and our orthodontist Dr. Michel Sebastian, who is a noted expert in the treatment of sleep Disordered Breathing with orthodontics offers a wide range of children’s dentistry services including sleep apnea treatment for kids. If you’re surprised to learn that we offer sleep apnea treatment for kids because you thought this sleep disorder only affects adults, you should know that obstructive sleep apnea (OSA) is by far the most frequently diagnosed pediatric sleep disorder. It’s been found that many children with Attention Deficit Hyperactivity Disorder (ADHD) actually have sleep-related breathing disorders (SRBD) like sleep apnea. A 2012 study, published in the journal Pediatrics, followed more than 11,000 children for six years, starting when they were 6 months old. The kids with SRBD were 40 to 100 percent more likely than kids without breathing issues to develop behavioral problems resembling ADHD by the age of 7. 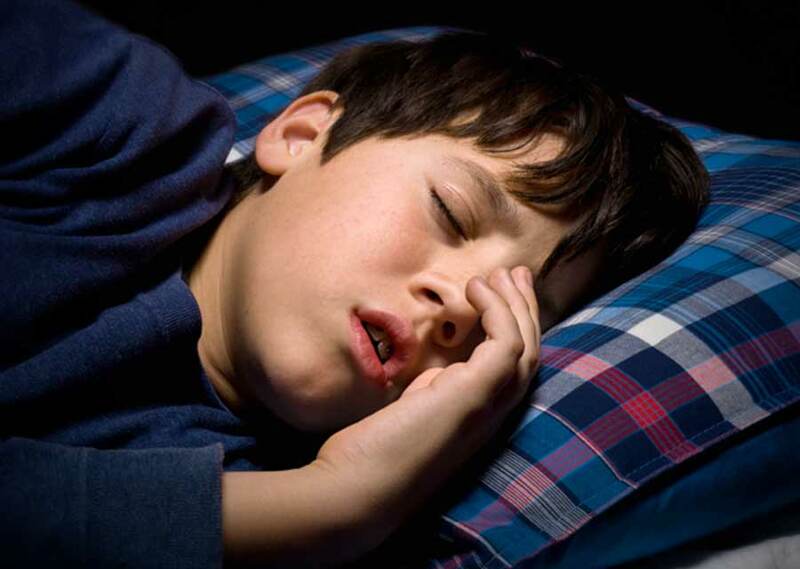 So if your child is exhibiting any symptoms of ADHD or has even been diagnosed with ADHD, it’s worth considering whether interrupted sleep may be an issue. When you stop and think about it for a moment, it makes perfect sense. A well-rested person, be it a child or an adult, can function much better on a good night’s sleep. Yet a lack of sleep affects adults and kids differently. While sleep-deprived adults tend to act sluggish and drowsy, kids who don’t sleep well are more likely to become hyperactive, uncooperative, and unable to focus, just like kids with ADHD. Children are not supposed to snore, be tired during the daytime or refrain from active playtime. It’s in their nature to sleep soundly and use up a lot of energy playing. Fortunately, it is possible to correct the physical problems that tend to be the cause of sleep apnea and similar conditions in children. There are several treatment options for sleep apnea that can be very effective, depending on the cause of SDB, but most commonly, orthodontic treatment can be used to treat sleep apnea in kids. Our Atlanta pediatric orthodontist can also play a role in treatment. 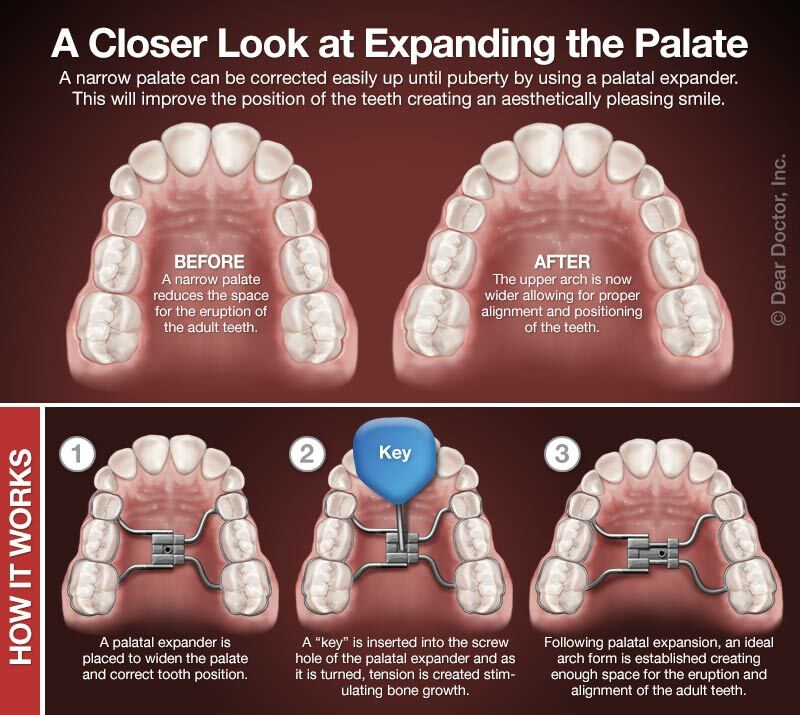 For example, if you have a young child who is still growing, we can provide them with an oral appliance called a palatal expander that works by gently widening the roof of the mouth (palate) over time to separate the bones that don’t permanently fuse together until puberty. While this appliance is most often used by orthodontists to create more room for crowded teeth, the expander can also increase airflow by opening the airway. If you have an older child who has stopped growing, he or she may benefit from Oral Appliance Therapy (OAT). This involves your child wearing a custom-made oral appliance that is designed to reposition the jaw during sleep. The appliance prevents the tongue from falling into the back of the throat to reduce the potential for airway obstruction. If your child is not getting the restful sleep he or she needs for good health and well-being, we encourage you to request an appointment with us today. During your child’s appointment, Dr. Powell will conduct a thorough oral examination and speak with you about the symptoms you’ve noticed so he can recommend the most appropriate treatment. We look forward to seeing you and your child in our office soon!